TUI Cruises has awarded the Lloyd Shipyards in Bremerhaven, Germany, with the contract to refit the first ship of its new cruise brand. In March 2009, the ship that is currently operating for Celebrity Cruises as the Galaxy, will undergo a thorough conversion. The total conversion investment will be €50 million. The ship will dock in Bremerhaven in mid-March and be christened in Hamburg on May 15, 2009. 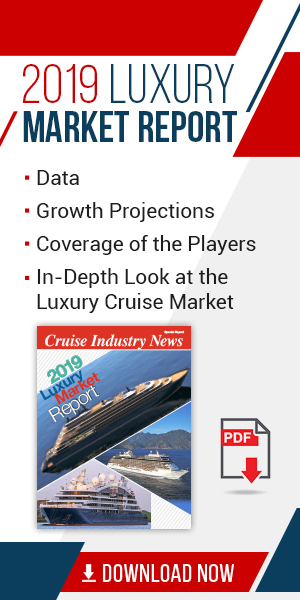 “In Lloyd Shipyards we have found a partner that has amassed a great deal of experience particu-larly in converting ships,“ said Richard J. Vogel, chief executive of TUI Cruises. “The Lloyd shipyard is pleased to have won this prestigious order from TUI Cruises for converting the Galaxy cruise liner. This order, which we won against national and international competition, once again highlights the shipyard’s competitiveness and productive efficiency in its core business. The extensive work will be carried out together with numerous partner firms in just 38 days and will keep the entire shipyard infrastructure busy,“ said Werner Lüken, managing director of Lloyd Werft. The four-star-plus ship will be converted to better suit the needs of German guests. At the same time the conversion will significantly raise the quality of the ship. Upon completion of the work, the ship will have a total of 974 staterooms. Of the 653 outside staterooms, some 430 of them will have a veranda or balcony. The pool deck and casino will undergo renovations and the fitness center will be expanded. A special highlight will be the Blue World Bar, which will spread over three levels of the ship. The bar will have alternating projections on large, wall sized screens that will convey a marine feeling to the guests. The Galaxy was built by the Meyer Shipyards and was commissioned in 1996. It is 263 meters long and 77,713 gross registered tons. It is presently operated by Celebrity Cruises, which is owned by Royal Caribbean Cruises Ltd. TUI Cruises is a joint venture between TUI AG and Royal Caribbean Cruises Ltd. Following its christening, the ship will make its maiden voyage for TUI Cruises when it departs from Kiel, Germany, on May 23, on a sailing to the Baltic.